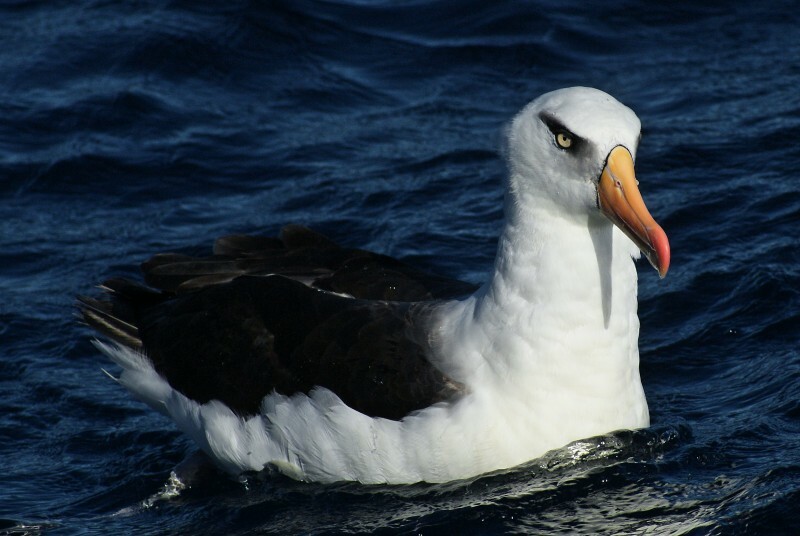 The Campbell Albatross is a close relative of the Black-browed Albatross, mainly discernable by the light iris of the Campbell (whereas the Black-browed has brownish-black eyes). 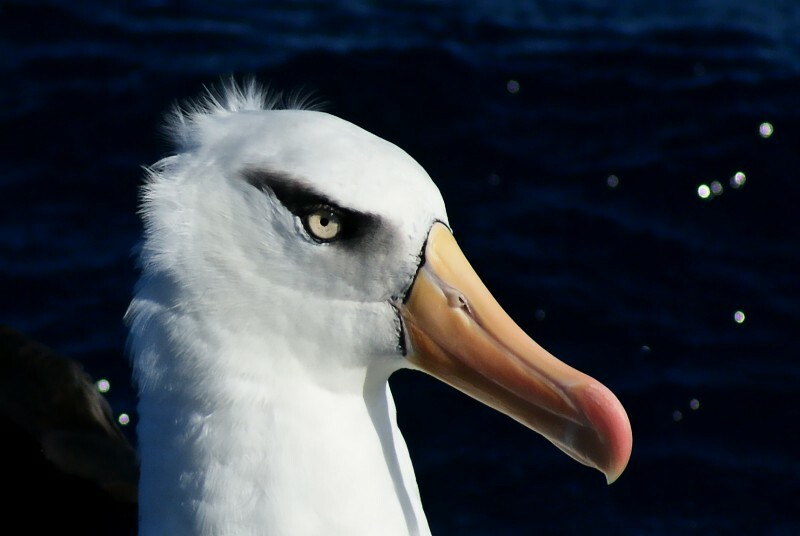 They only breed on the Campbell Island group of New Zealand. They are recognised as separate to the Black-browed by several authorities, although not everyone agrees. They are similar in size to the the Black-browed at 200-240 cm in wingspan and 84-94 cm in length. 1-2: Tasman Sea, off Wollongong, 23/06/2012.